WestJet has announced that it is the first airline in full production with FLX Shop & Price, a “next-generation shopping and pricing engine” from Farelogix. The companies say that FLX Shop & Price will provide WestJet with substantial cost savings opportunities, improved response times, more flexibility and the ability to dynamically modify ATPCO fares. “WestJet is the first airline in production with the FLX Shop & Price solution, following our launch of this technology last year,” said Farelogix CEO Jim Davidson. Farelogix says the new engine is in production for a number of travel agencies and technology providers that are currently shopping and booking WestJet content via WestJet Direct, the airline’s Level 2 NDC-certified API solution also powered by Farelogix. FLX Shop & Price is designed for airline-controlled NDC shopping and pricing. The engine provides full support for ATPCO-based fares as well as non-ATPCO fares managed directly by the airline, and is fully interoperable with other Farelogix “offer engines” for off-PSS merchandising, availability calculation and schedule building. 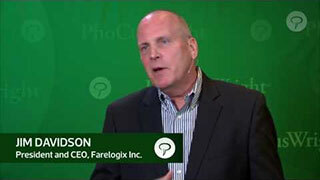 The engine can be hosted by the airline or, as is the case for WS, hosted by Farelogix.